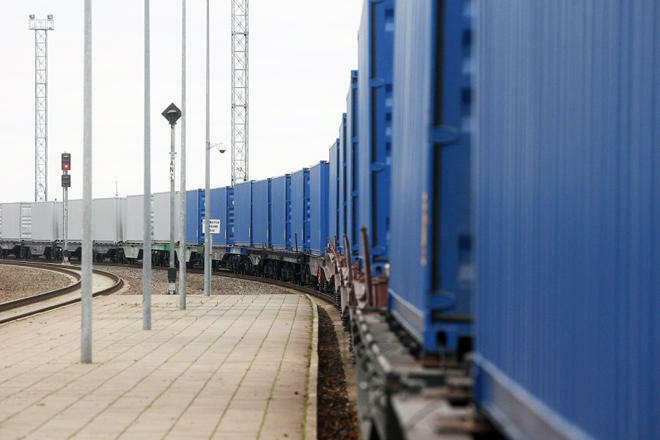 The first delivery of Afghan goods through the international transport corridor Lapis Lazuli, which passes through Afghanistan, Turkmenistan, Azerbaijan, Georgia, Turkey and further to Europe, will be held in October, the Ministry of Industry and Commerce said. The ministry noted that the first delivery will be of a test character and two containers to be shipped of Afghan carpets and gemstones l will go to Turkey and Holland. The pilot phase will enable the Lapis Lazuli Corridor countries to assess problems and challenges and they will then take the necessary steps to solve the issues, the director of transit and trade facilities at the MoIC Yahya Akhlaqi said.